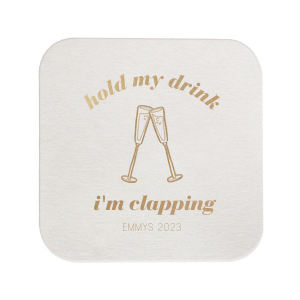 It’s the season that movie lovers anticipate year-round—awards season! 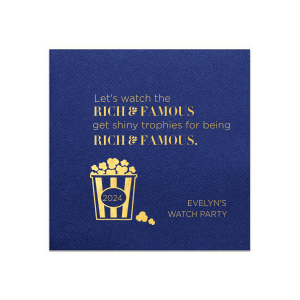 Celebrate your favorite 2019 awards show in style this year with a fun and fabulous party! Some of you movie buffs may keep up with lots of the awards shows that happen over a several months’ time frame, but let’s be honest, isn’t it really all about the Academy Awards?! 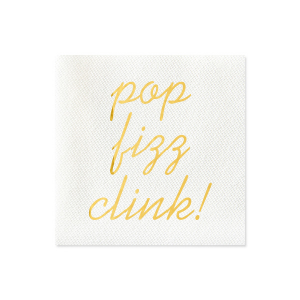 For your awards party decor, the question is: how “all out” do you want to go? 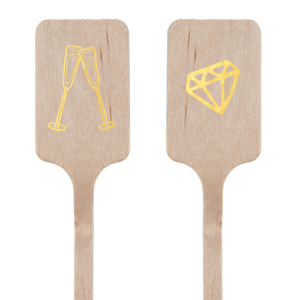 Pinterest and the interwebs have endless cute DIYS for making everything from stanchion poles out of plungers (yes, seriously) to ensuring your guests have a red carpet insta opportunity, plus lots of templates for Academy Awards bingo games and ballots. 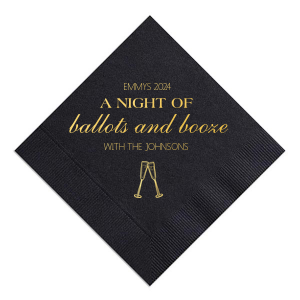 It’s up to you to decide how fancy you want your awards party to be! 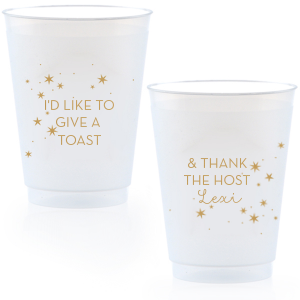 Custom designed watch party cocktail napkins, stir sticks, shot glasses and frosted cups all add to your awards party ambiance, of course! 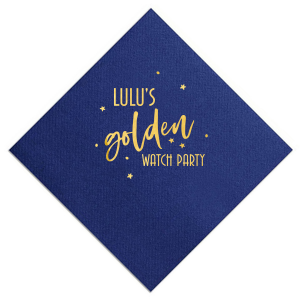 Choose a colorway for your customized awards party accessories that coordinates with your glamorous awards party decor to pull the whole look together. Of course, your awards party calls for a delicious spread of food. If you want to really highlight the theme, get an Oscar award shaped cookie cutter to make cookies or even flat bread (with tortillas) that look like the famous statue! If you’re up for a fun DIY, check out Bakarela’s Oscar statue cookie instructions. Your food table will surely be award-winning if you have a display of gold sugared Oscar statue cookies! For drinks, stock a DIY drink station that has several recipes posted for inspiration. Check out these posts for some interesting cocktail recipe options: yum and also yum. 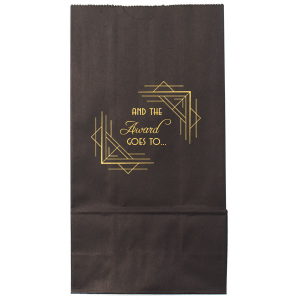 Get started planning your awards party today by designing your customized awards party accessories and gathering your DIY supplies! 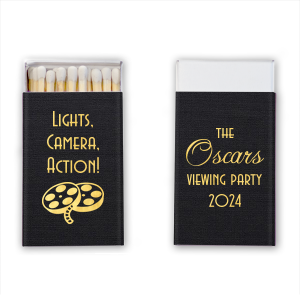 Whether you go all out with a red carpet, stacion poles, paparazzi, and major decor, or you keep it simpler, coming together with your fellow movie lovers will surely be a blast!